Archive ruby-1.9.3-p392.tar.bz2 checksum did not match, downloading again. Partial file(18). Only a part of the file was transferred. Removing partial and re-trying. 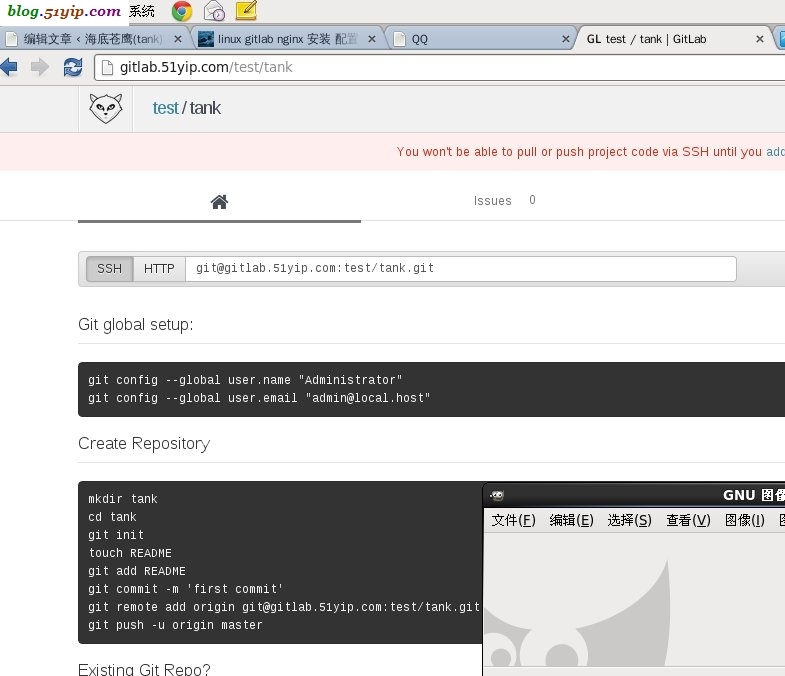 su - git -c "git clone https://github.com/gitlabhq/gitlab-shell.git"
su - git -c "cd gitlab-shell && git checkout v1.3.0"
su - git -c "cp gitlab-shell/config.yml.example gitlab-shell/config.yml"
su - git -c "gitlab-shell/bin/install"
su - git -c "git clone https://github.com/gitlabhq/gitlabhq.git gitlab"
su - git -c "cd gitlab;git checkout 5-1-stable"
su git -c "cp config/gitlab.yml.example config/gitlab.yml"
su git -c "mkdir /home/git/gitlab-satellites"
su git -c "mkdir public/uploads"
su git -c "mkdir -p tmp/sockets/"
su git -c "mkdir -p tmp/pids/"
su git -c "cp config/puma.rb.example config/puma.rb"
su git -c "cp config/database.yml.mysql config/database.yml"
su git -c "bundle install --deployment --without development test postgres"
su git -c "bundle exec rake sidekiq:start RAILS_ENV=production"
su git -c "bundle exec rake gitlab:setup RAILS_ENV=production"
2,su git -c "bundle install --deployment --without development test postgres"
4，gitlab settings 500错误。一定要加上，su git -c "bundle exec rake sidekiq:start RAILS_ENV=production"